Today (Christmas Eve day) we awoke to a bright and sunny morning with a delicate coating of hoar frost on nearly everything. Just after sunrise the light on the frost was magical. These pictures don’t quite do the scene justice but I’ll post them anyway. 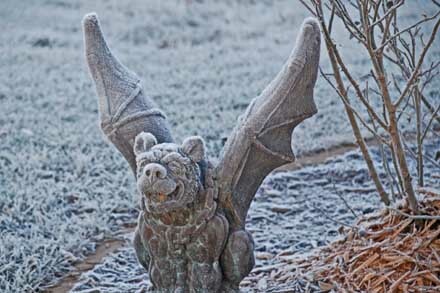 Our garden Gargoyle has a nose fuzzy with frost. 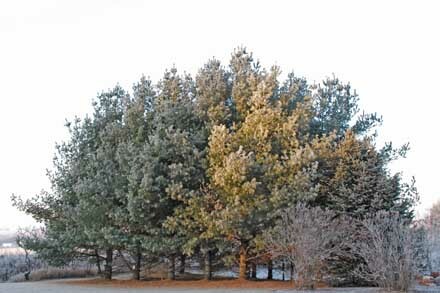 These pines are just south of the pond. Not exactly a White Christmas but about as close as we are likely to get. What a beautiful sight it was this morning!! 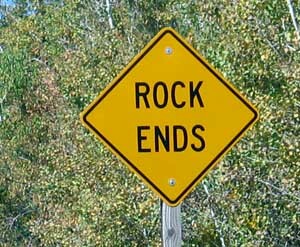 And you did a good job of taking some fantastic pictures. You’ve got quite an eye for photos Tom. Those were really good!